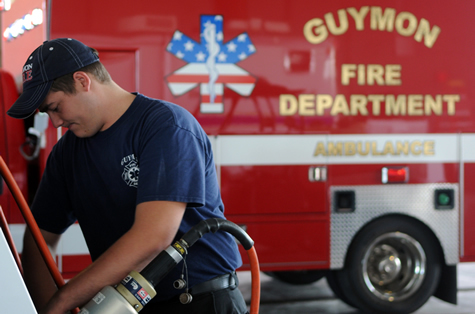 Oklahoma Panhandle State University student and second-year Guymon Fire Department intern Dalton Bebout performs internship duties at the new fire station in Guymon. OPSU, in partnership with the Guymon Fire Department, offers an Associate of Applied Science in fire protection. 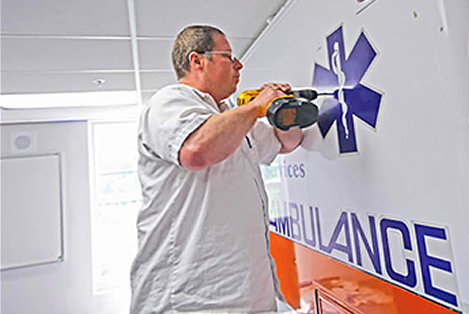 Recent RSU alumnus Kenneth Brull works on ambulance he devised a way to squeeze through an RSU classroom window. Brull took the decommissioned ambulance to his home workshop and, armed with a blowtorch, started slicing the box off of the chassis and the front cab. Previously, students had to crowd around an ambulance in the parking lot, exposed to the elements and surrounded by the bustle of daily campus life. 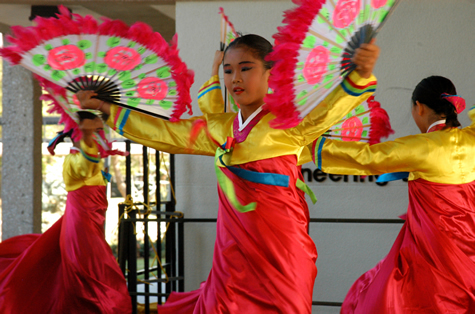 Dancers with the Korean Culture And Language School Of Oklahoma perform at an exhibition. The group highlighted this year’s Global Oklahoma celebration at Rose State College in Midwest City in September.